Robert F. Kennedy Memorial Stadium, known as RFK Stadium and originally District of Columbia Stadium, is a multi-purpose stadium in Washington, DC. The stadium is located on the exact axis of East Capitol Street, which means that from the top of the stadium you can see the US Capitol and the Washington Monument lined up perfectly to the west. Opened in 1961, RFK Stadium has hosted five NFC Championship games, two MLB All-Star Games, men’s and women’s World Cup matches (four of which I attended) and a whole lot more. I’ll never say it’s a pretty stadium; it is not Camden Yards, home of the Orioles. RFK was one of the first major stadiums designed specifically as a multi-sport facility for both baseball and football. 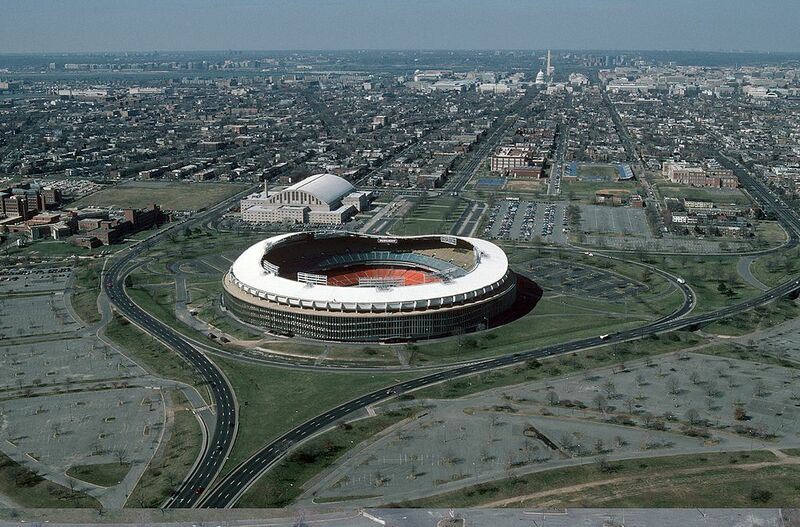 RFK was one of the first to employ what became known as the circular “cookie-cutter” design. The stadium relied on the fans to give it personality. The last game the Washington Senators played there, which my parents attended, never actually ended because the fans stormed the field before the game was over. My family has a lot of history connected with the stadium. My mother’s father worked for the Washington Redskins since their founding and spent every Sunday during football season down on the field. I saw my first pro-football game there one December in the early 80s. I was there when the stadium hosted their new baseball team, the Washington Nationals, on opening day in 2005 after more than 20 years without pro-baseball in the capital city. The point of this rambling isn’t to go on about the history of a stadium, it was just background. 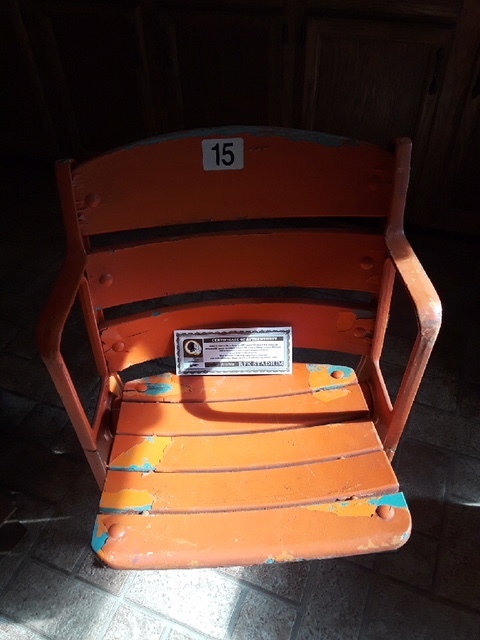 My siblings and I found a seat from that old stadium for sale, bought it for my father and gave it to him for Father’s Day. It came with a certificate that shows the seat was part of 36 NFL seasons and several Senators’ baseball seasons. It was removed from the stadium in 2005 during preparations to welcome the Nationals to town. He can now sit in that orange-colored seat and watch baseball outside on the deck while remembering those all those baseball and football games he’d seen back in ol’ DC.